I am already on record supporting Cuban as the new owner of the Cubs, even though baseball bores me, and I haven't watched a baseball game in Chicago since 2005. Think of it: Mark Cuban as the Chicago Cubs’ owner, bonding with the Bleacher Bums at Wrigley Field, splurging for rounds of Old Style beer and screaming at umpires. The concept is almost Veeckian, as if Bill Veeck, the populist former owner of the Browns, the Indians and the White Sox, had had zillions of dollars. Buying the Cubs is the latest project for Cuban, the owner of the N.B.A.’s Dallas Mavericks, but he is not alone in the expensive quest. 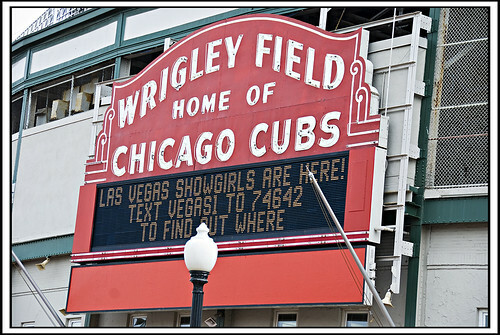 Four other individuals and groups have given the debt-laden Tribune Company nonbinding offers of at least $1 billion for the team, its stake in Comcast SportsNet Chicago, and 92-year-old Wrigley Field. Richard Sandomir of the NYT keeps harping on the dollar amount of fines Cuban has gotten from the NBA, but there is a clear pattern of decline there, and Cuban has been less publicly inflammatory in recent years. I follow the NBA very closely, and Cuban has been a boon for the Dallas Mavs. The Cubs, and Chicago, would be well served to have an owner as activist as Mark Cuban. This page contains a single entry by swanksalot published on August 3, 2008 11:02 AM. links for 2008-08-03 [delicious.com] was the previous entry in this blog. New Green Line Station at Morgan is the next entry in this blog.